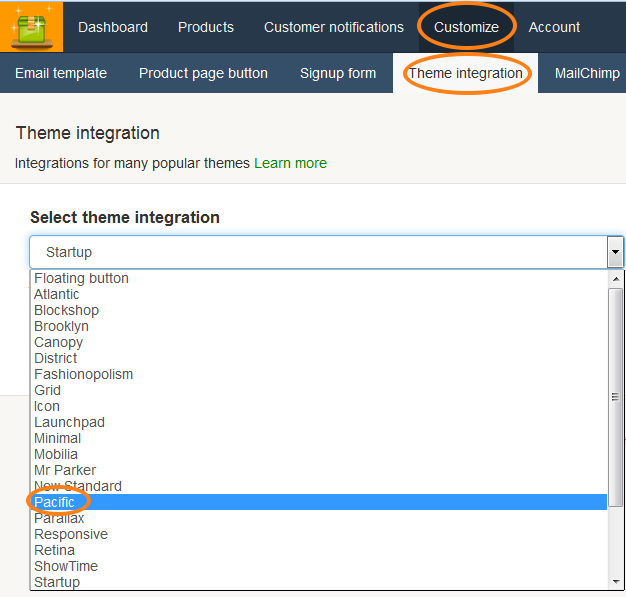 Back in Stock supports integrating with the Pacific theme. This guide will explain how the integration works and walk you through installing it for your store. Log in to your Back in Stock app and select Customize from the main menu, then select Theme integration from the second-level menu, then choose Pacific from the dropdown list.